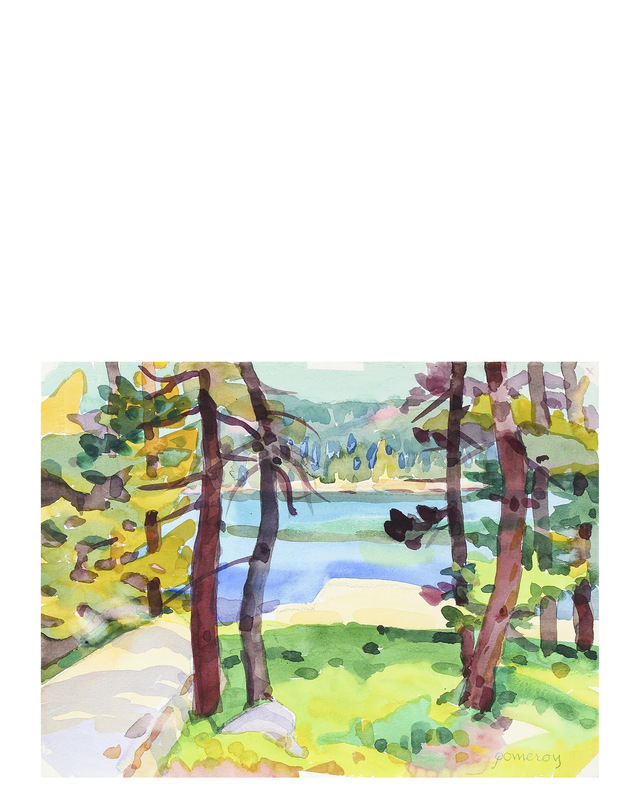 "Silver Lake, Sierra Nevada" by Frederick Pomeroy&quot;Silver Lake, Sierra Nevada&quot; by Frederick Pomeroy, alt="&quot;Silver Lake, Sierra Nevada&quot; by Frederick Pomeroy, "
Entitled "Silver Lake" this 1998 watercolor on paper mountain lake scene is by Frederick Pomeroy (1924-2011), a Carmel Valley painter and teacher. He studied at California College of Arts and Crafts (now CCA) in Oakland during the 1940s and the Ecole des Beaux Arts in Fontainebleau, France in 1951, where he was awarded a prize for painting from the French Cultural Department. 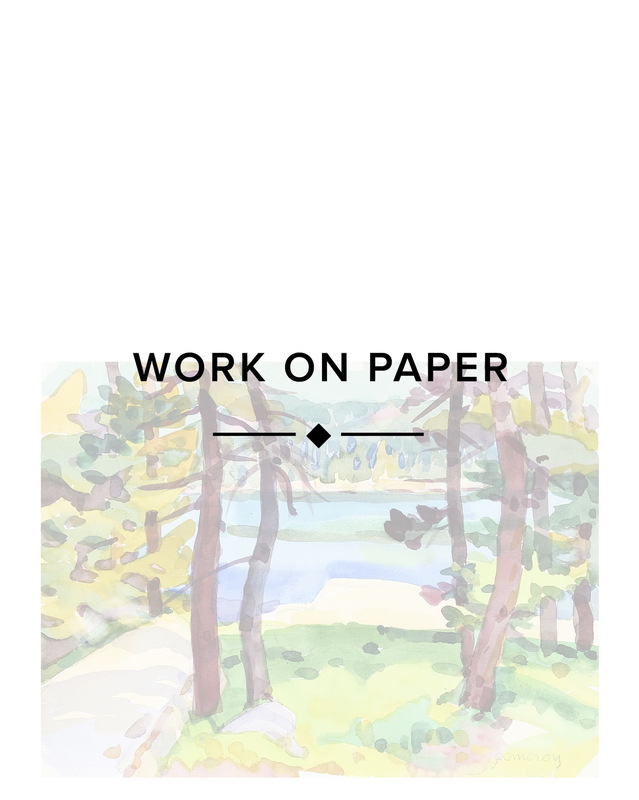 Pomeroy exhibited and traveled widely throughout the U.S. and spent the greater part of his life plein air painting in Carmel Valley, especially Soberanes Point, Point Lobos, the Sierra Nevada Mountains, and Pacific Grove, with his wife, Mary Barnaš Pomeroy. Signed lower right. Unframed. This piece will be shipped in a mat to fit a standard sized frame. Overall Dimensions: 15" x 11"